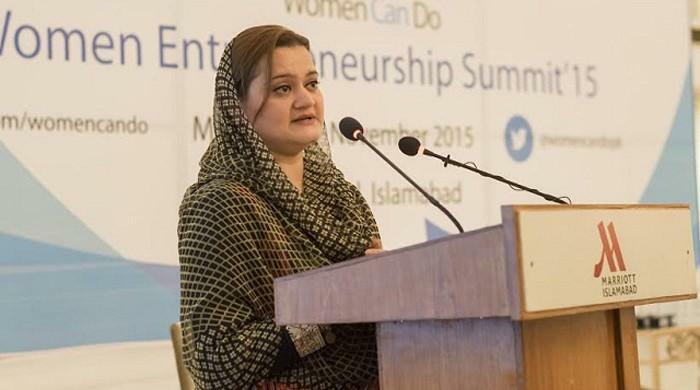 ISLAMABAD: Prime Minister Nawaz Sharif on Monday appointed Marriyum Aurangzeb as State Minister for Information and Broadcasting. Aurangzeb is a PML-N lawmaker occupies a reserve seat from Punjab in the National Assembly. On October 29, Prime Minister took back the Ministry of Information, Broadcasting and National Heritage from Pervaiz Rashid, weeks after the military’s top commanders said a ‘false and fabricated’ newspaper report breached national security. According to a statement from the PM's office, the premier has directed Pervaiz Rashid to step down to enable holding of an independent and detailed inquiry into the episode. "The planted story related to the NSC and NAP meeting published in Daily Dawn on 6th October was a breach of national security. Evidence available so far points to a lapse on part of Information Minister, who has been directed to step down from office to enable holding of an independent and detailed inquiry," said the PM House statement. "An inquiry committee including senior officers of ISI, MI and IB is being formed by the Government of Pakistan to clearly apportion blame, identify interests and motives and expose all those responsible for this episode for stern action in the national interest," it added. The Dawn newspaper had published the story on October 6, in which journalist Cyril Almeida had written about an alleged civil-military rift during the National Security Committee (NSC) meeting over the issue of tackling jihadi outfits. The story drew an outpour of criticism with the military stating that it was fed to the reporter and demanded investigations into it. It cost Almeida placement of his name on the Exit Control List for less than a week, before the government eventually lifted his travel ban.